Professor Fabienne Mackay obtained her PhD from Louis Pasteur University in Strasbourg, France. In 1994, she joined BiogenIdec Inc in Boston where she developed inhibitors of TNF ligands and characterised the factor BAFF. 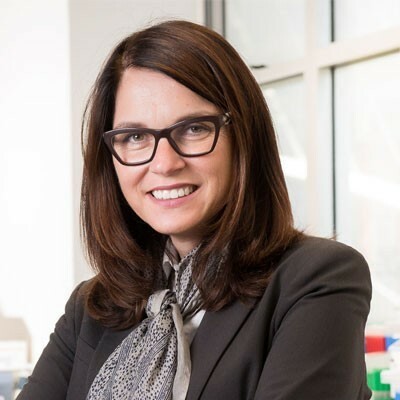 In 2000, Fabienne joined the Garvan Institute, Sydney as a Wellcome Trust Senior Research Fellow with a National Health and Medical Research Council (NHMRC) Program Grant and as Director of the Autoimmunity Research Unit. In 2009, Fabienne was appointed Chair and Head, Department of Immunology, Monash University and awarded a NHMRC Research Fellowship in 2014. In 2015, she joined the University of Melbourne as inaugural Head, School of Biomedical Sciences in the Faculty of Medicine, Dentistry and Health Sciences and Head, BAFF laboratory, Department of Microbiology and Immunology. Fabienne has authored over 139 articles, reviews and book chapters, many in high impact journals. Her h-index is 57, with over 12,795 citations, an average of 105.74 citations per article. In 2012, Fabienne received the Thomson Reuters Australia citation and innovation award; in 2013, the NHMRC Best Research Project; in 2014, a trophy from the French Ministry of Foreign Affairs in Paris for outstanding contribution in education and research as an expatriate; and in 2015, was elected as Council Member of the International Cytokine & Interferon Society. Her laboratory discovered the role of BAFF/BLyS as a key factor driving lupus and a BAFF inhibitor was approved by the FDA in March 2011 as the first new treatment for the disease in over 50 years. 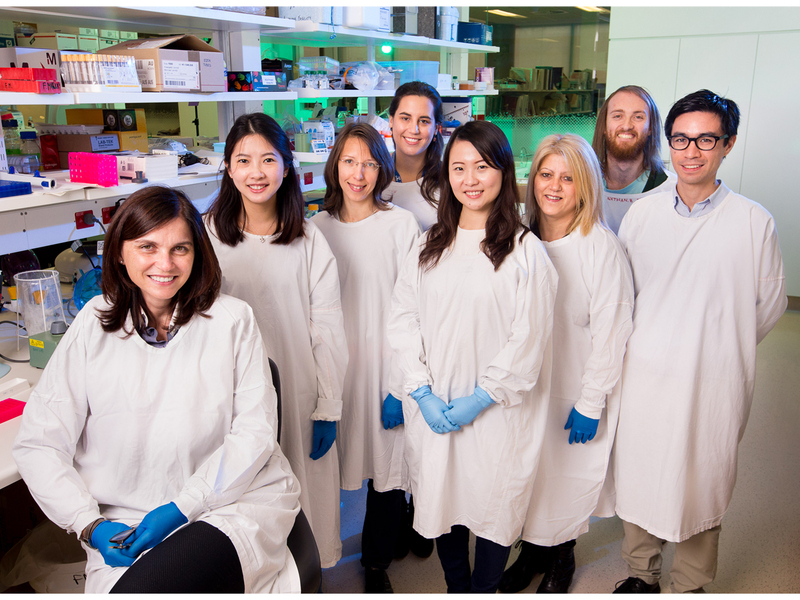 Fabienne’s group studies the influence of the diet on the development of SLE and with expert microbiologists at the Doherty Institute, they are dissecting microbial communities that are harmful or beneficial. They are trying to understand the physiology of modified microbial communities and how it has an impact on disease symptoms. BAFF is a TNF-like ligand, which signals through three receptors BAFF-R, TACI and BCMA. Excessive BAFF production drives autoimmunity. Fabienne’s group has demonstrated that TACI-mediated production of autoantibodies is key to drive BAFF-mediated autoimmunity and her laboratory is developing anti-TACI blocking antibodies. Blocking TACI rather than BAFF has the advantage of stopping autoimmunity without affecting B cell survival or T cell-dependent immune responses. Therefore, blocking TACI is a safer approach than broad B cell depletion induced by BAFF inhibitors. Other receptors have surprising roles in other cell subsets opening the possibility of exciting new projects. Fabienne’s group studies blood cancers, in particular Chronic Lymphocytic Leukemia (CLL), and specifically looks at the defect in the immune system that could be corrected to restore anti-tumor immune-competency. They have identified new immune checkpoints that can be targeted to repair vital immunity in cancer patients. Fabienne’s group works on the chemokine receptor CXCR7, which is important for heart formation and tissue remodelling. CXCR7 appears to be a critical receptor driving tissue fibrosis and a key therapeutic target. CXCR7 deficiency delays some autoimmune conditions in mouse models and its role in T cells will be addressed. CXCR7 is highly expressed on a subset of B cells called Marginal Zone B cells.